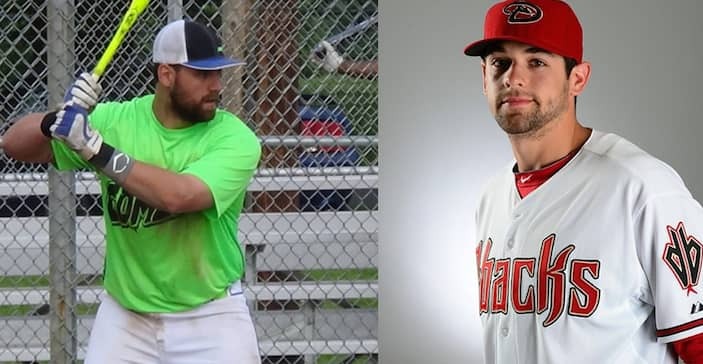 Pictured above in images posted to their Facebook accounts, from left, Christopher Costantino from 2015 and a recent photo of Sean Furney in a Diamondbacks uniform. Don’t wait: Sign up for updates and breaking news with our FREE daily newsletter. Christopher R. Costantino, 24, of 10 Cedar Pond Drive, Warwick, and Sean W. Furney, 24, of 48 Roosevelt St., Warwick, were each charged with Organized Criminal Gambling and Conspiracy in the sweep, following an eight-month RI State Police investigation culminating in the search of a home in Narragansett and of the Cozy Grill restaurant on Warwick Avenue. The Providence Journal identified the Warwick baseball players Tuesday. Costantino , a Hendricken graduate, was drafted by the Red Sox in 2009 but not signed. He was signed by the St. Louis Cardinals in 2011, according to BaseballAmerica.com, as reported in The Warwick Beacon. In 2013, Costantino signed a minor league contract with the Atlanta Braves, was assigned to the Rome Braves in April 2014 then to the Danville Braves in May 2014 before being released, according to MILB.com. Furney graduated from Pilgrim High in 2009 and played for the CCRI Knights for two years, then for another two at URI, according to his bio on Extra Innings’ website. He started playing for the Arizona Diamondbacks in 2013, was eventually assigned to the Rome Braves in 2015 and then released March 26, according to MILB.com. Thomas J. Pilderian, 45, of 55 Pine Ridge Road, Cranston, charged with Bookmaking, Organized Criminal Gambling, and Conspiracy in relation to the gambling ring, owns the Cozy Grill, according to Warwick City records. Jonny E. Lubo, 44, of 111 Wunnegin Circle, also of Warwick, charged with Organized Criminal Gambling and Conspiracy in the investigation, is a worker at the DCYF, according to a report from ABC 6.